As parents, we all want the best for our children, so it is important to ensure that they have access to the resources, opportunities, and tools they need to reach their potential. There are many different ways we can do this but one of the most effective is through an early education at a Montessori school in Gaithersburg, Maryland. There are a number of different ways your children will be able to benefit from an early education and it can help prepare them for their academic careers. As parents, we all want the best for our children, so it is important to ensure that they have access to the resources, opportunities, and tools they need to One of the main benefits of providing your children with an early childcare education is the improved cognitive development. When your children are still toddlers, their brains are working in overdrive trying to learn as much as it possibly can. This is why your children are so curious and for this reason, it is important to provide them with a safe learning environment where they can learn until their heart is content. As parents, we all want the best for our children, so it is important to ensure that they have access to the resources, opportunities, and tools they need to Another perk of providing your children with an early education is the many valuable skills they will learn. 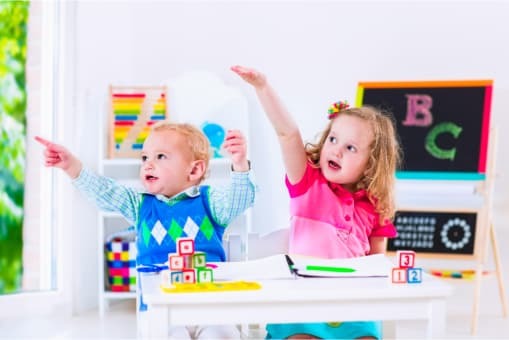 When they are at a preschool, they will not only be learning important academic knowledge that can help them in school but they will also learn skills such as problem-solving, leadership, communication, social skills, and more. These skills can help your children for their entire lives. As parents, we all want the best for our children, so it is important to ensure that they have access to the resources, opportunities, and tools they need to Your children will no doubt have fun at a preschool. We provide a wide range of fun and educational activities that your children will love and they will also have the chance to spend time with their peers. They may even make friendships that will last their entire lives. As parents, we all want the best for our children, so it is important to ensure that they have access to the resources, opportunities, and tools they need to Those are just a few of the many benefits of providing your little one with an early education. If you would like to find out more about this or if you want to get in touch with a good child care provider in Maryland, please do not hesitate to get in touch with Top Hat Montessori for more information anytime. This entry was posted in Early Education and tagged child care provider, montessori school, preschool. Bookmark the permalink.